Ludum Dare 38 - Blocknauts! Enter a big place full of small worlds. You're a courageous Blocknaut, stranded far from home in a tiny star system. You ship is gone, scattered to pieces as it broke apart on reentry. Can you explore this foreign place, and find your ship's scattered parts? 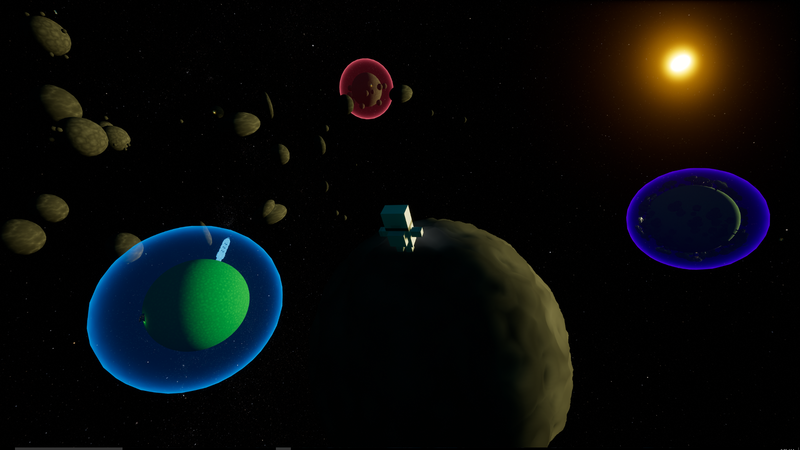 Blocknauts is an open-world space exploration game, made in 72 hours for Ludum Dare. 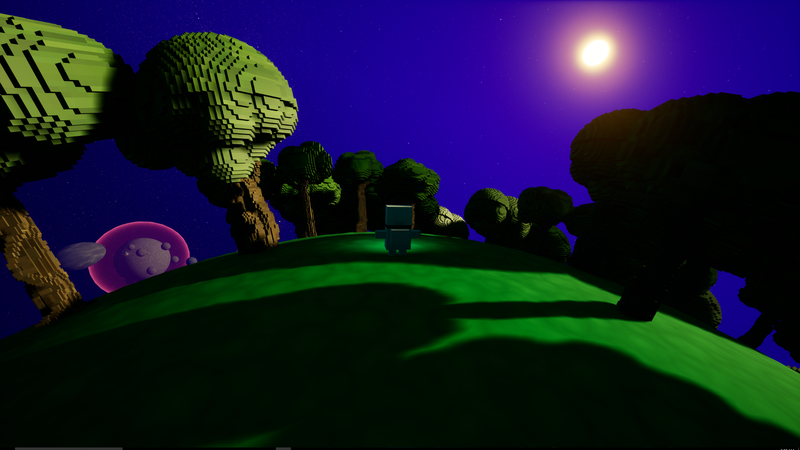 In Blocknauts, you take the role of a brave Blocknaut explorer, trapped far from home. Wander around unique planets, each with their own terrain and atmosphere. Yearning for more? Take the giant leap off-world, using your jetpack to seamlessly leave your planet navigate the stars in search of the missing pieces of your rocket. Touch ship pieces to grab them, touch the rocket blueprint to drop them off. There are 16 rocket parts scattered around the system. Don't forget to check small moons and asteroids! You have unlimited jetpack fuel. Yay, micronized fusion bottles! NOTE: I've decided to keep improving this game after Ludum Dare. The 'AfterLD38' download contains improvements I've made after the close of LudumDare38. If you're planning to rate this game for LD38, please use the original downloads to be fair to other Ludum Dare entries. Thanks! What's New in the After LD Build? Improved camera and navigation controls based on feedback from Ludum Dare players. Planet-side camera rotation should be more natural, and using the jetpack in space will now fly you towards where your are looking, simplifying interplanetary navigation. 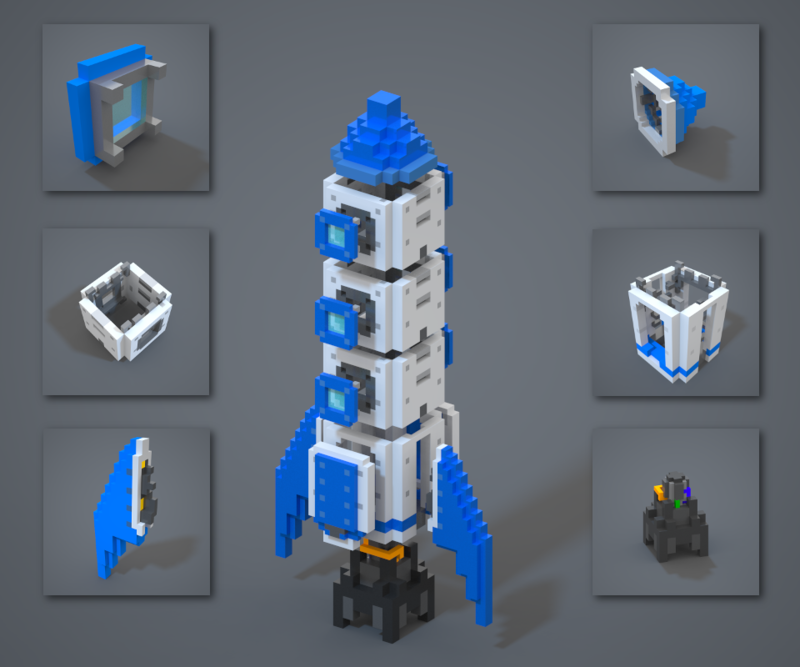 Fixed a bug that kept the games 'success' sounds from playing when you gained a piece, dropped it off at the rocket, or won the game. Fixed one source of odd camera transitions when leaving planets. Increased amount to ambient light present on the dark side of planets. Fixed transparency of intro text panel. Added map of where rocket parts can be found, it will pop up when you move near the rocket ship. Added a short end-game cutscene. I may expand it and add sound in a future update. Improved roll maneuverability while flying with the jetpack in space.